It has been difficult to swing the Deus this month, as I’ve been harried by thesis concerns. I did make it to a club dig in Northmoor, the last dig before my mate Gez left for his summer holidays. The dig saw him off in high style, as he had his first sestertius, on what were very quiet fields. 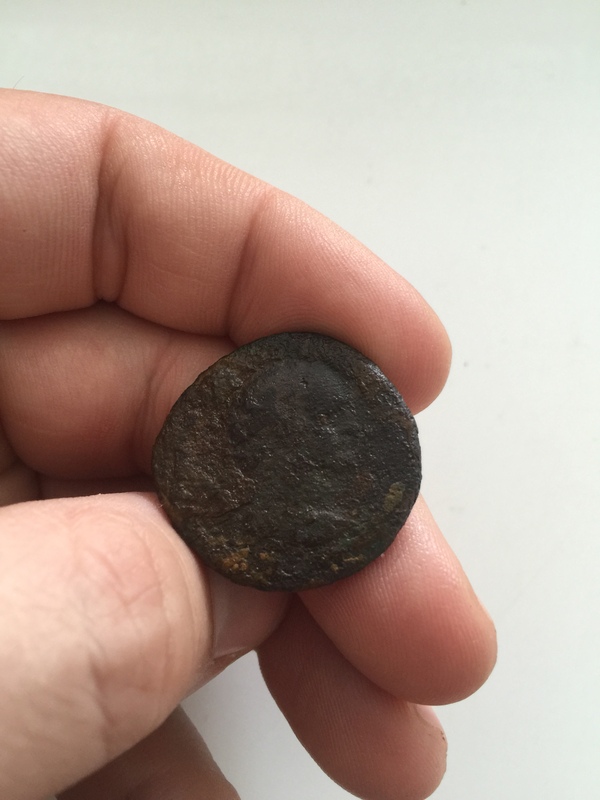 Not long afterward, I found this badly worn dupondius. Most of the day I spent detecting in a small paddock right next to the farmhouse and parking area, despite tips from longtime club members that it was either detected out, or else covered in aluminium waste. 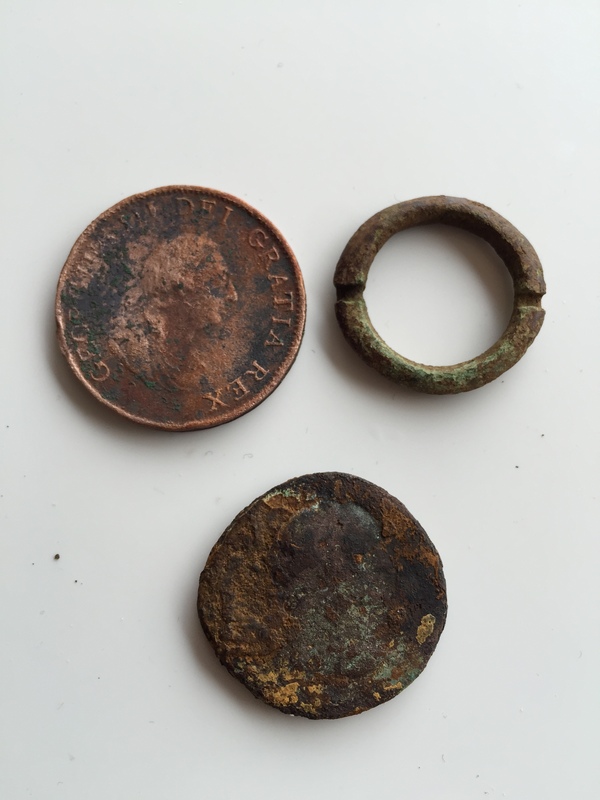 In the paddock I found a small annular brooch with a bit on gilt on it but no pin, and just before leaving for the day I found a George III penny (1799). It was badly corroded, but cleaning it turned up a nice portrait. 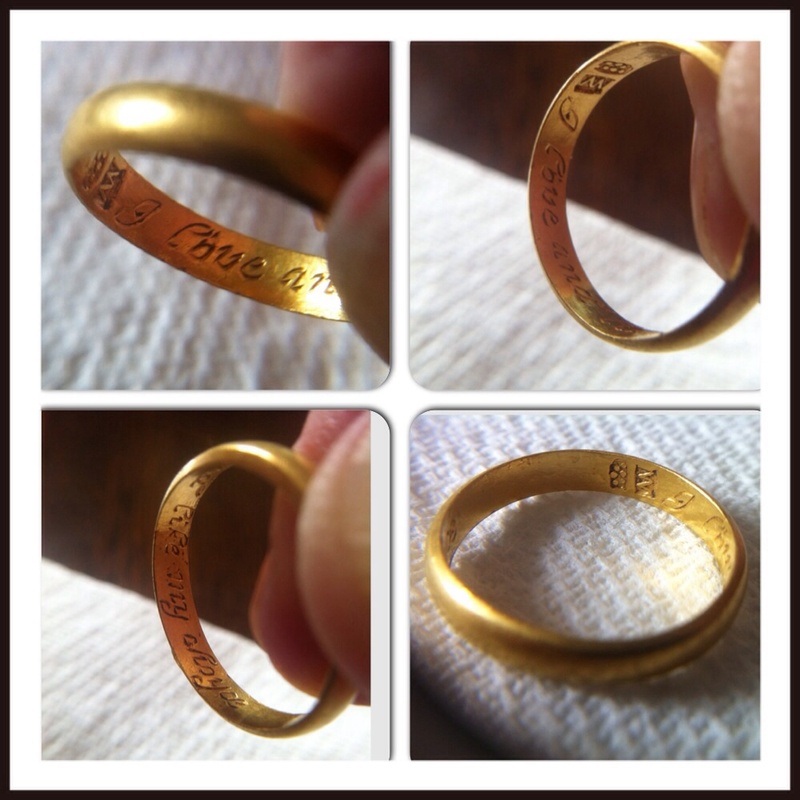 It has been declared treasure, of course, Michael’s second treasure find in two weeks. It goes to show the truth of the adage ‘You have to walk over it’, and also any number of old saws about persistence. That paddock was maybe two hundred feet to a side, and despite what oldtimers said about its being detected out, it gave up the best (and some of the only) finds of the day. Follow your hunches! It’s now the end of May, and I’m heading to the States for the summer to visit family and do some work. No more field hunting until the autumn, but do check here gentle readers (all four of you) for updates about beach hunting on Long Island and how I get on with my newly purchased Excalibur II. I have similar coins to the Flagstaf REX. 3 of them. I do not know where they are from.